Why Do You Need Carpet in Your House? One Note About Shag Carpeting. The number one most important reason most people prefer carpet: it’s more comfortable than hardwood or tile. If you doubt us, try this quick experiment. Walk on a carpeted floor barefoot and then switch to a hard floor. It won’t take long to discover which is the more comfortable option, especially if you are performing this experiment in a cold climate during winter. This brings us to our second most important reason to install carpet in your home, warmth. Any carpet, no matter the material or pile, will add extra warmth to your room. Having a carpeted floor is similar to walking on a thick towel. Some types of carpet will provide more warmth than others—we will go into the difference below. However, all can help keep you more comfortable and raise the ambient temperature in your rooms during cold seasons. In addition to comfort, there are quite a few other reasons why carpet is a great material to have in your home. Most carpet is slip resistant, so little feet or animals will have a hard time falling down when walking on carpet. However, if someone were to slip, carpet is much softer to fall on than wood or tile. Also, carpet is a great way to deaden noise in your home. If you drop something, it will not clatter. This is especially important for people that live in a multi-story home, apartment, or condo. Having a carpeted upstairs will significantly reduce the amount of noise that is heard from downstairs. There is nothing worse than creaky footsteps and voices over your head. Don’t just take our word for it. Here are some of the biggest pros to know when considering putting carpet in your home. Provides more warmth and comfort than hard floors. It is a non-slip surface. Carpet significantly reduces noise in your home. There is a large number of material and pile offerings to choose from. You can buy a carpet in any color or pattern you want. No choice is always perfect, so here are a few cons that come with carpet in your home. Carpeting your entire home, particularly if it has a lot of floorspace, will be expensive. The large number of options can be overwhelming and slow down your purchase. In order to keep your home clean, you need to clean the carpet regularly. This involves both cleaning with a vacuum and carpet cleaning. Thus, carpet requires more upkeep than other types of flooring. Carpet will wear-out and need to be replaced more than wood or tile. Wool used to be the material that all carpets were made from. It comes from the hair of sheep, goat, or another similar animal. 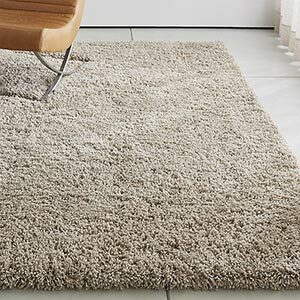 Unlike wool clothing, wool carpet is not scratchy, but one of the softest materials out there. That softness comes at a price, as the best wool carpets are some of the most expensive you can buy. However, in addition to a good quality carpet, you will be purchasing one that is naturally stain-resistant and flame-retardant. But, be careful when buying a wool carpet, cheaper products can be prone to staining or breaking down more easily. Wool provides such natural advantages like stain resistance, humidification, soil resistance, the list goes on, that it could be tempting to put it in the highly trafficked areas of your home. Remember, however, that wool is also a luxury material. It also can only be cleaned by professional cleaners with experience in wool, which means there will be much higher ongoing maintenance costs associated with it. So, unless you are independently wealthy, you should only use wool carpet in rooms like bedrooms or formal living rooms where people are on there best behavior. Nylon is the most popular carpet material in the United States. Like wool it is durable, resilient, and stain resistant, but it comes with a much-reduced price tag than wool. It can also be dyed to any shade of color, which means there are seemingly infinite choices out there. If you are purchasing nylon carpet for its stain resistant qualities though, make sure to buy one that is specifically treated for stains, as nylon does not naturally repel staining. Even though nylon carpet is cheaper than wool, it is not the cheapest carpet option on the market, so should also be used in rooms that really needs its durability. For example, a family room or used dining room would benefit from nylon carpet. You don’t want to pay the premium for durability that you don’t need in the space. One final advantage of nylon carpet is that it is simple to clean. Vacuums work well on it, and a simple steam cleaning can help to restore it to its original loft. 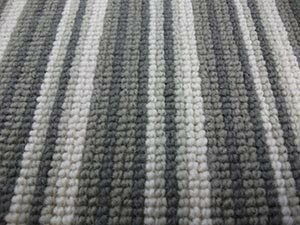 Polyester carpets have the same appearance as wool but are significantly less expensive. They also take very well to dyes, so can be found in a wide variety of colors. Your options are limitless with polyester carpets. This material is also soft and stain resilient. However, it does wear out quicker than other types of carpet. It will likely have a flattened appearance in just a year or two, as opposed to close to a decade for wool. You can purchase polyester carpets that have been made from recycled bottles, which makes this an extremely eco-friendly option. It also is quite easy to clean with a vacuum and carpet cleaner. Because of its durability and affordability, polyester carpet is best for any high-traffic areas of your home. This could include a family room, bedrooms, or even kitchen—if you decide to go with this less common option. Many people prefer polypropylene because it is very affordable and stain resistant. It does come with some negatives though. Polypropylene is prone to holding onto dirt and other soiling substances. It is also not as durable a material. So, if you have animals or young children, you should probably not use polypropylene carpet. If you are sold on a polypropylene carpet, but do not want to deal with the trouble of maintaining it, then we recommend only putting it in low-traffic rooms. You can vacuum this carpet material, but because it soils more readily, it can be hard to get completely clean. But, if it is placed in an unused living room or dining room, it will last much longer. You could also choose to put it in a high-traffic room with the knowledge that you will likely have to replace the carpet more frequently. The final carpet material on our list is the synthetic fabric, triexta. Triexta has extremely strong fibers, which makes the material extremely durable. It is perfect for any home with animals or children. It comes in many different qualities and in a variety of colors. However, in some tests, it does not perform that much better than regular nylon. Also, because of the strength of triexta’s fibers, it will run around the same amount of money as nylon, so it is not a cost saving option. Triexta is fairly stain resistant and cleans easily with a vacuum and carpet cleaner. You would be best served to purchased a carpet made of triexta if you have people or animals in your home that are likely to make a mess. 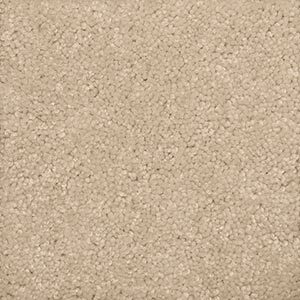 This type of carpet is also perfect for rooms that get a lot of use, such as an entryway or mud room. There are a few other, less common, types of carpet materials. If you are someone who likes imported goods or using unusual materials these may be for you. Some unique carpet materials to look for include cotton, linen, silk, sisal (from the agave plant), jute, coir (from coconuts), sea grass, and paper. The pile of a carpet is what you step on. It consists of a layer of one of the materials listed above that is secured to a backing. As you might guess, there are a lot of different types of pile that are used on carpet. The differences in pile adjust the height and thickness of your carpet. Here are the most common types of pile you will find. This is the most common of the loop pile options. Berber loop pile is characterized by the small loops that the pile is formed into. It is a dense, but not very thick or soft carpet option. 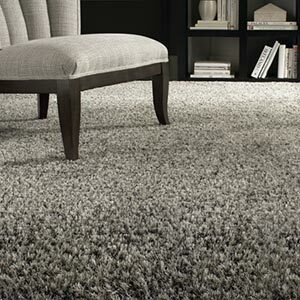 Because of the dense nature of the pile, this type of carpet cleans easily and resists dirt. It is also quite durable. Berber pile carpets can be made form any carpet material; however, today they are often made form olefin, which keeps their price down. Traditionally, Berber carpets were only used basement rooms or offices. However, because they are so durable and stay cleaner, you will often find them in other highly trafficked areas of the home, like a family room or a playroom. Level loop pile is another type of loop cut carpet pile. Unlike the other types of loop cut piles, these have loops that are level. This makes for an extremely even and symmetrical design in the carpet. It also allows the pile to be quite dense and prevents it from becoming too rough. One thing to keep in mind with a level loop pile is that it will be stiffer than other types of carpet. You will probably not want to put this type of carpet in your bedroom. Instead, high-traffic areas of your home like an entryway, mudroom, or hallway would be good fits for level loo pile carpet. Multi-level loop pile carpet is similar to the other types of loop pile. However, its loops vary by height, so it lends itself to a patterned design. Usually the design on this type of carpet will be quite subtle. But, it can make a decided difference in the look of many rooms. Like other types of loop pile, multi-level loop pile cleans easily and resists dirt. Any room that you would consider a loop pile carpet would be appropriate for a multi-level loop pile. Because this type of pile allows for designs, you can put multi-level pile in rooms where you entertain but still want to keep clean, like a living or family room. Saxony is the traditional and common of the cut pile styles of carpet. In fact, this is probably the pile you think of when someone says carpet. In Saxony pile carpet the tops of all of the pile loops are cut off at exactly the same height, usually ½ inch. Most Saxony pile carpets are also cut so that all of the fibers stand straight up and stay close together. This creates a carpet with a satiny and soft feel. Saxony pile carpet cleans well, but it does leave vacuum and walking lines. This type of carpet will also show wear more easily and needs to be replaced more often than other styles. 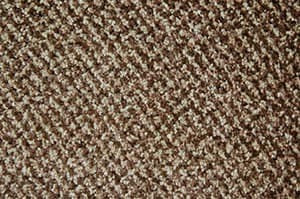 Because Saxony carpet is so soft, it can be used in any bedroom, living room, or stair. You can purchase a Saxony pile form any material, in any color, and of any quality. Textured is the only cut pile that does not leave tracks, which is why it is sometimes called trackless pile. This pile does not leave tracks because the individual fibers are twisted into spirals, cut, and then heat-steamed into place. 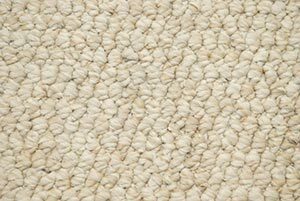 The carpet remains soft but is easy to clean and resists stains because of the tight twisting of the fibers. 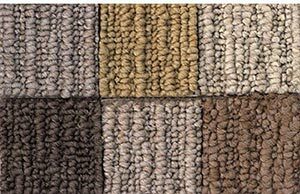 The twisted fibers also prevent the carpet from becoming too “smushed down.” This allows textured cut pile to be placed in rooms that receive mid to high levels of foot traffic like a stairway, entryway, living room, family room, or bedroom. Frieze is a type of cut pile where the fibers do not all point in the same direction. Instead, they curl in many different directions, which can hide footprints. Think 1970s shag carpeting and you will know what frieze cut pile looks like. The curled fibers in frieze cut pile make for an interesting—and very 1970s—look but can be extremely hard to clean. Spills, especially, can create hard-to-remove stains. The fibers are also prone to pulling out and wearing down. So, you do not want to put frieze cut pile carpeting in any high-traffic room or area where people eat or drink often. Instead, reserve it as a luxurious and fashionable statement piece in a room like a living room or library. Plush carpet pile is less common because it tends to be extremely temperamental. It can be easily worn down, scuffed, and marked with footprints. 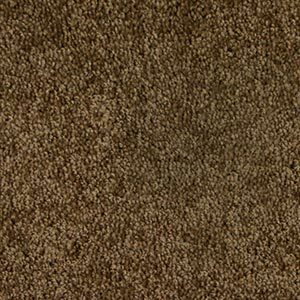 In addition to the negatives you receive a carpet with short, dense, closely packed fibers that feel like velvet to the touch. Because plush carpet pile is so hard to keep clean and looking its best, you will want to only put it in a low-traffic location in your home. This final type of carpet pile, the pattern pile, uses a combination of cut and loop piles to create a pattern. You can either choose the pattern from an existing carpet or design one yourself. The second option will be significantly more expensive than the first. In general, this type of carpeting is used for decorations. Its practical purposes are secondary to its look. Pattern pile carpet is fairly easy to clean; although, the cuts and loops may wear down at different rates. It is a perfect addition to a room with a specific design scheme already decided upon. You will need to be very deliberate in your choice of pattern, so that it fits into its chosen room correctly. As mentioned above as part of the frieze section, that pile is the basis off shag carpeting. However, that carpeting style comes with implications of its own, and should be dealt with separately. When most people see shag carpeting they think of the 1960s and 1970s. But, what is shag carpeting really? It is characterized by an extremely deep pile with long fibers that stand in a lot of different directions. 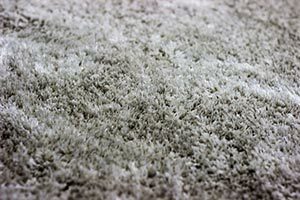 This is what gives the shag carpet its “shaggy” appearance. 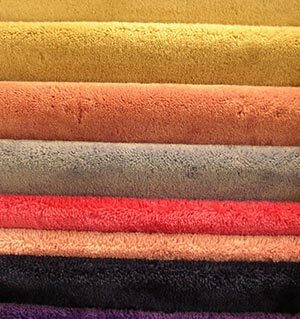 You can purchase shag carpeting with a variety of materials, sizes, and colors. Shag carpeting likely originated in the Middle East and Central Asia; however, it rose in popularity in the United States in the 1960s. The largest reason for its rise to fame in the U.S. was its association with hippies and the countercultural movement. One of the explanations for its decrease in status recently has been its extremely difficult nature to clean. The long fibers make vacuuming it a chore, so you will need to have the right equipment to keep it clean and looking tis best. Shag carpets can be put in any room that you want to make a design statement, but because of the cleaning difficulty they present, you will likely not want to put them in high-traffic rooms. What carpet costs to put in your home will depend on many factors. 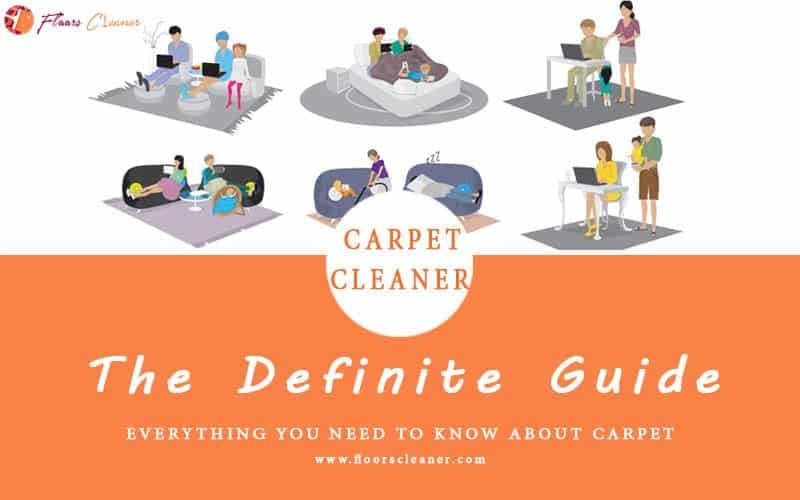 Some of the most important of these include how large an area you plan on covering with carpet, the material and pile of the carpet, and whether you plan on installing the carpet yourself or hiring professionals. Let’s break each of these costs down separately. How much you pay for carpet installation with greatly depend on the size of your space. The larger the space, the greater the price. This is why in the categories below we have listed all prices per square foot. If the space you are carpeting is not square, these numbers will at least give you an idea on how much you will be spending. As discussed above, the many different carpet materials and piles cost different amounts. You can also choose a high, medium, or low-grade carpet in each type of material or pile. So, the price of the carpet itself will greatly depend on your own wants and needs. The synthetic carpets go for between $1-$2 per square foot. The more unusual materials can sometimes run upwards of $100 per square foot. There’s one more element to installing carpet that we haven’t yet talked about, and that’s the padding. Carpet padding is what gives it that cushy feel. Padding also protects the floor underneath the carpet from glue and nails and provides a non-slip base on which the carpet rests. If padding is not included in your carpet or labor costs, then it will run you approximately $.3-$.6 per square foot. Most people will need an expert to install their carpeting as it takes special tools and knowledge to do so correctly. You will generally remove all of the items in the room or rooms yourself, but there may be some add-ons to the cost of the labor. Common add-ons include furniture removal, Berber carpet installation, special cuts—if the room is not square, and the reinstallation of baseboards, etc. Cost of basic labor=$.5-$1 per square foot. 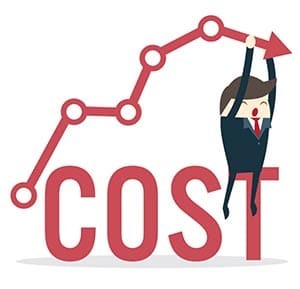 Cost of Labor add-ons=$.5-$2 per square foot. The total price for labor will be the addition of these two categories. You need to take all of these costs into consideration when you begin your search for your next carpet. And, note that these are just estimates to give you a general ballpark of the costs associated with putting carpet into your home. This information can help you plan your budget and narrow your focus on a certain carpet material or style. Durability in carpet is determined by a number of factors. The most important of these is the material that you choose. Some are just going to be more durable than others. We’ve discussed the different durability of each common material above. There are two other factors that also play into a carpet’s durability—twist, and density. Twist refers to the way that the fiber is made into yarn and whether or not it is twisted on itself. The more twisted the fiber, the more durable the carpet. Density relates to how closely the fibers are put together. This factor is found in the pile of the carpet. As mentioned in our pile section above, the denser the pile, the more durable the carpet. 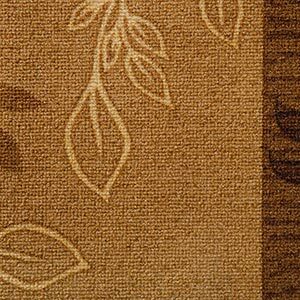 There are a large number of carpet makers out there, and you want to pick the best one for your family. So, the choice can become a little overwhelming. If you are totally lost as to what carpet to purchases, here’s a quick list of the top three carpet brands. Shaw Flooring produces carpet as well as hardwood, laminate, vinyl, tile, and stone flooring. Their carpet comes in a wide variety of textures, piles, materials, and colors. You will never be out of options with Shaw Flooring carpet. Also, this company is committed to sustainability, which is great for the environment. Mohawk Industries is another company that is committed to sustainable practices. They, like Shaw Flooring, manufacture carpet and hard floors. They also create some unique carpet options like SmartStrand Forever Clean carpet that comes with and All Pet Protection and Lifetime Warranty. With all their carpet options, it is no wonder that they are the leading carpet manufacturer in the United States. Dupont attempts to meld science and engineering with solving real-world environmental problems. This focus has allowed them to create some of the most advanced and ecologically-friendly carpets on the market. All of their carpets resist matting, are stain resistant, and should keep their shape and texture for years to come.